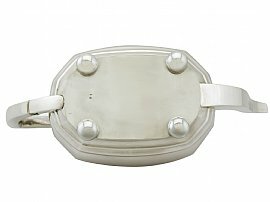 This fine antique George V sterling silver teapot has a rectangular rounded form onto four bun style feet. 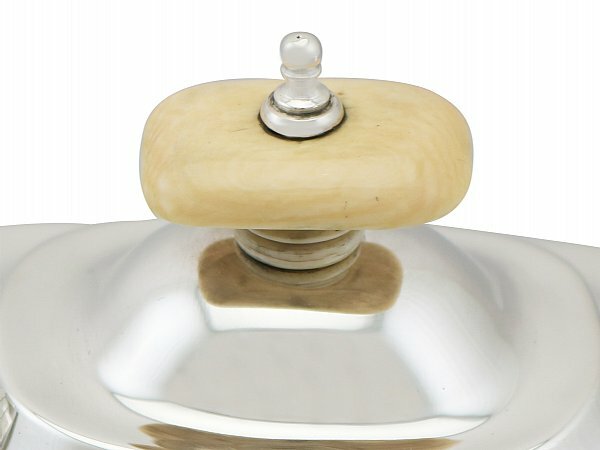 The plain surface of the body is embellished with stepped decoration to the upper portion. 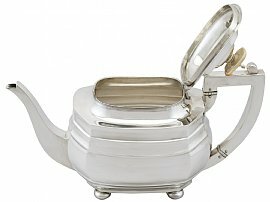 The rim of the teapot is encompassed with an applied reed decorated border. 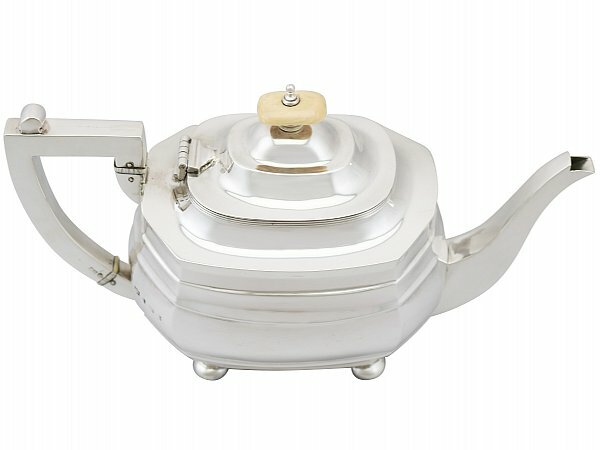 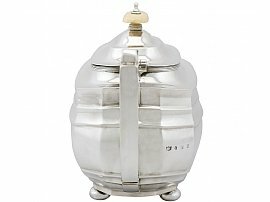 This fine teapot is fitted with a plain domed hinged hallmarked cover which retains the original sterling silver finial, securing to the interior with a wing nut. 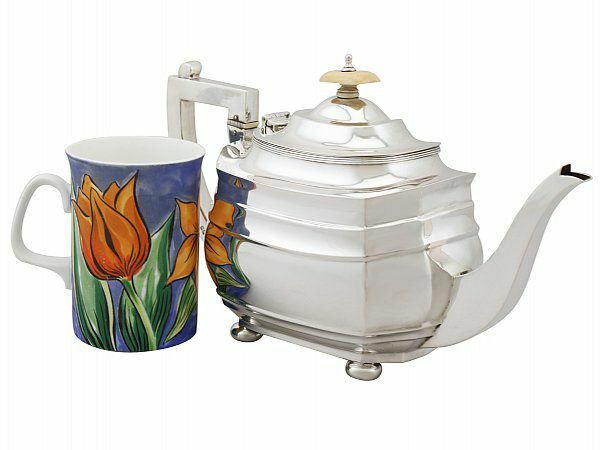 The teapot is fitted with an angular sterling silver handle with a plain scrolling thumbpiece. 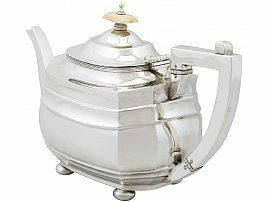 This antique teapot is an excellent gauge of silver, excellent quality and in excellent condition. 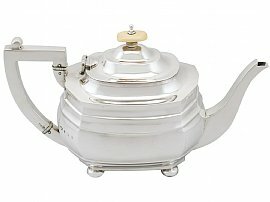 The teapot has been professionally polished and is in presentation condition. 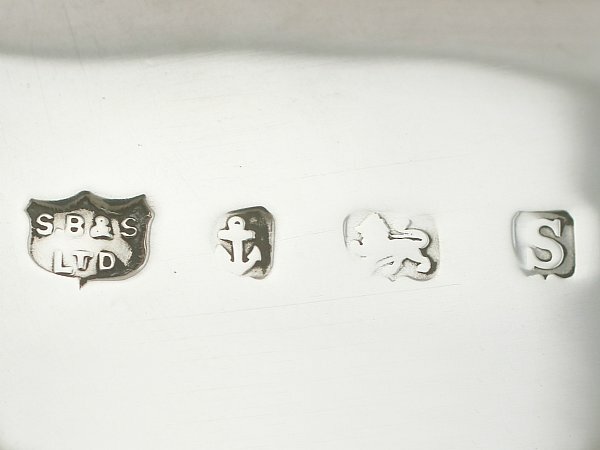 Full hallmarks struck to the surface of the body and part hallmarks to the interior of the cover are all very clear. Reflections in photographs may detract from the true representation of this example antique teaware. Length from back of handle to tip of spout 26.6cm/10.5"
Height to top of finial 15.8cm/6.2"